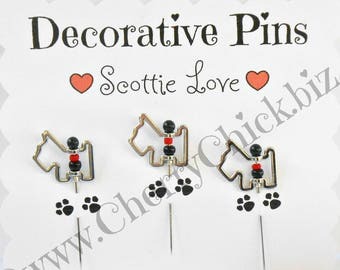 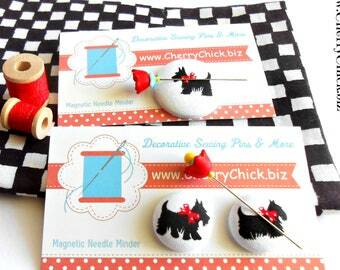 Scottish Terrier scissor fob.....Just what every stylish pair of scissors needs because it's so cute. 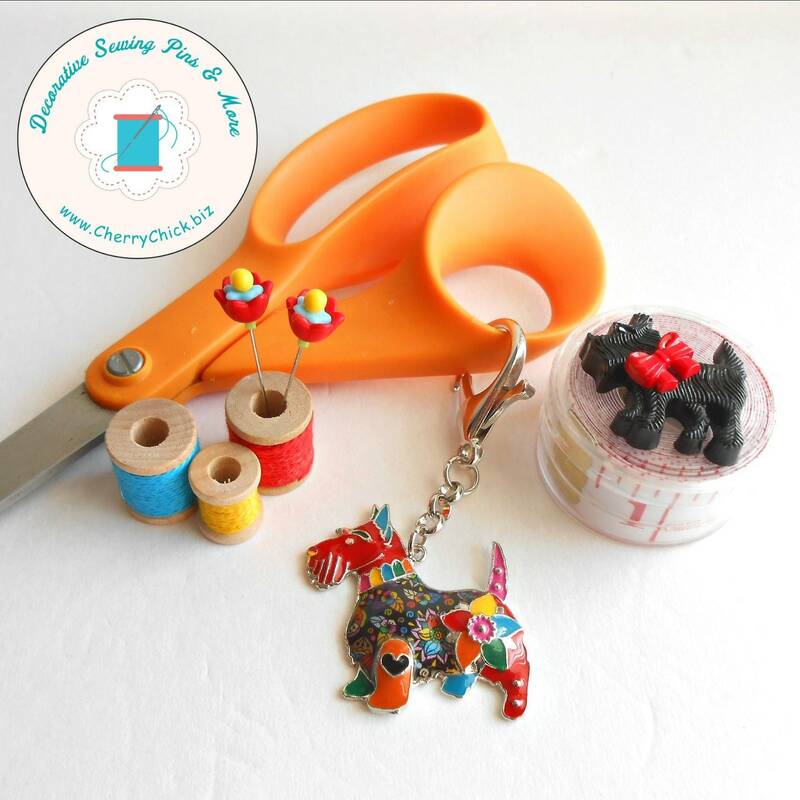 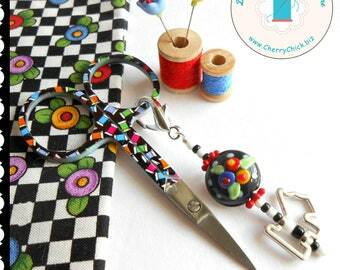 This colorful enameled sewing accessory will easily attach to the scissors handle securely with the lobster claw hook. 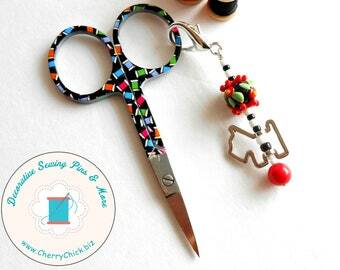 It measures 3 7/8" in length and 1 1/2th inches wide. 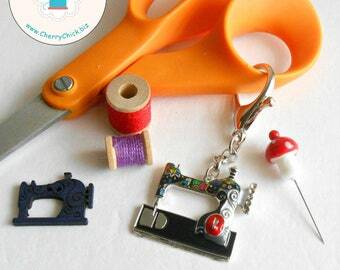 Another thought would be to use this as a purse charm, a zipper pull, or a yoga bag charm. 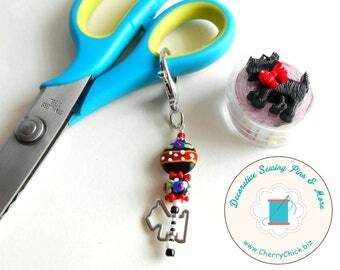 This fun fob should fit on the handle of most scissors. 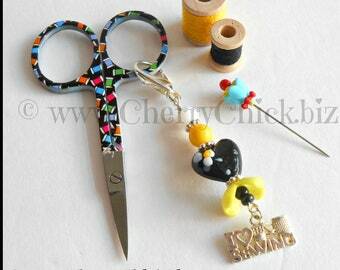 This listing is for the scissor fob only. 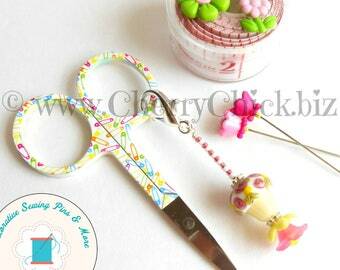 Some of the photos show items used as photo props. 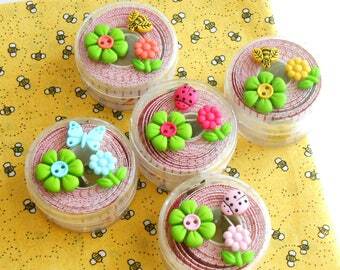 Choose your preferred color from the drop down menu. 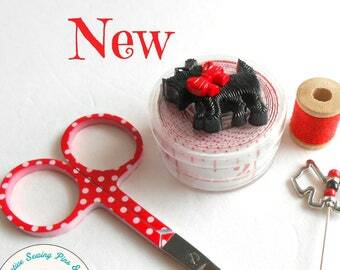 The cutest item arrived safe and sound!